Vitamins & MineralsScitec Vita-C 1100mg - 100 kaps. 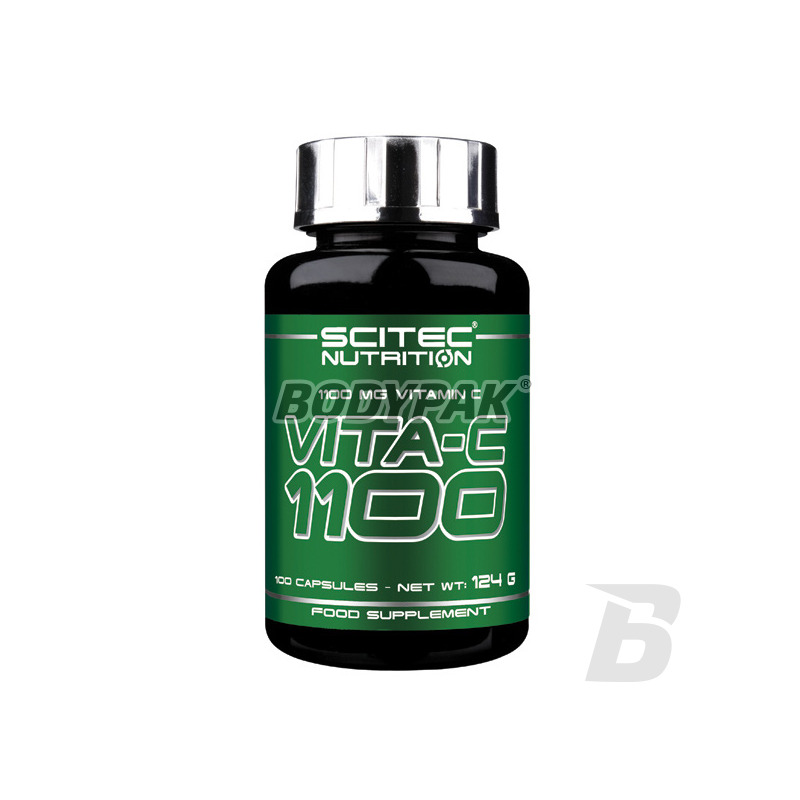 Scitec Vita-C 1100mg - 100 kaps. Vitamin C is not only an excellent antioxidant, but also protects the immune system! The highest quality active substance in a solid dosage! 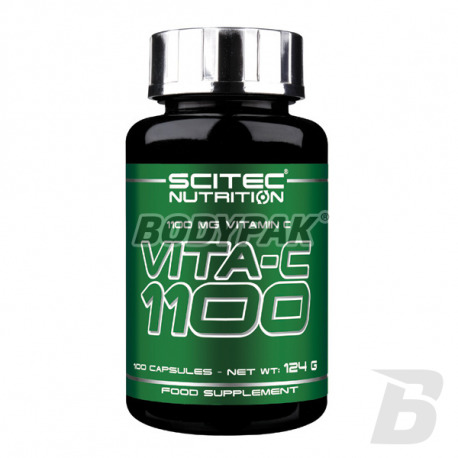 Scitec Vita-C is a rich source of vitamin C! Is a substance which the body is unable to produce itself, but which is extremely important in many biochemical processes and metabolism. Functions that vitamin C plays in individual cells have a direct impact on fitness and healthy functioning of the body. Thanks to its particular structure, on the one hand is involved in many processes in which the products are essential in the daily life of our body substances, on the other protective functions, like a guard protecting us from the adverse effects of chemicals from the environment around us, and those who are a byproduct of metabolism. Use 1 capsule daily, preferably during meals. Use this product in conjunction with food as part of a healthy, balanced diet and not replace it. Składniki: Kwas Askorbinowy, żelatyna wołowa, substancja przeciwzbrylająca (Stearynian Magnezu), barwnik (dwutlenek tytanu, kompleksy miedziowe chlorofili i chlorofilin).